Posted by Shane Ryans on April 30, 2013. PPC Professionals, a pay-per-click agency located in Fort Lauderdale, Florida, is a team of online marketing experts with over four decades of combined experience with pay-per-click (PPC), search engine marketing (SEM), search engine optimization (SEO), local marketing and more. In addition to PPC management, the firm provides pay-per-click consulting services for companies with existing, in-house SEM teams. PPC Professionals conduct a thorough audit of existing AdWords pay-per-click accounts and identify any areas that require improvement, and make suggestions based on best practices. To learn more, visit www.ppcprofessionals.com, or call (954) 606-5359. 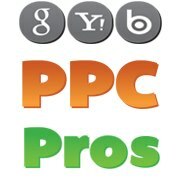 PPC Professionals is a team of pay-per-click experts with over 40 years of combined experience in all major online marketing disciplines, including PPC, SEM, SEO and more. Led by industry-leading experts, PPC Professionals provides pay-per-click management and PPC consulting services for businesses in various industries. PPC Professionals is dedicated to producing customized, winning Google AdWords strategies guaranteed to increase sales, leads, customer base, conversions and ROI for clients.